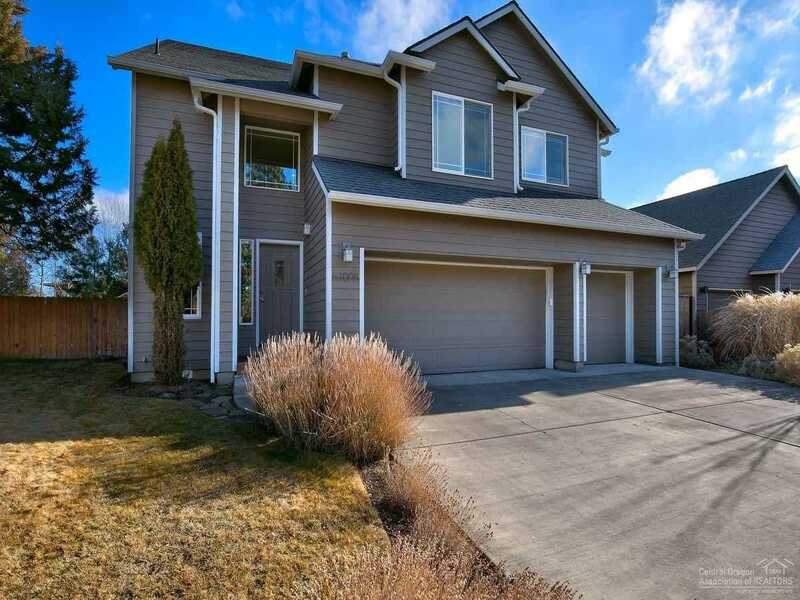 Located a short distance from Sawyer Park and the Deschutes River, this remarkable home is nestled in a gated community and is move-in ready. The living room boasts vaulted ceilings, floor-to- ceiling windows and a corner gas fireplace. The kitchen features alder cabinets, hardwood floors, tile counters and stainless steel appliances. Upstairs you will find the master suite, which features a tile shower and a separate soaking tub, in addition to three other bedrooms. You will enjoy the private, fully fenced and landscaped back yard with plenty of room for children or pets. There is also a large partially covered deck plus a paver patio with a fire pit for entertaining. Please, send me more information on this property: MLS# 201900273 – $535,000 – 63008 Sawyer Reach Lane, Bend, OR 97703.